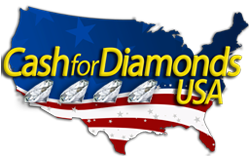 Searching for a cash for diamond location near Cincinnati, then you've come to the right place. You will find local listings of many diamond buyers in Cincinnati below. We also provide the approximate cash for diamond payouts, verified status, and even online diamond buying info, to help you earn the most cash for diamond. Prices are approximates and fluctuate as the price of diamond changes, so use the pricing below more as guidelines to sell diamond, rather than as exact amounts you will receive. Like many cities, there are several diamond buyers in Cincinnati and we would recommend using one of the verified cash for diamond locations in the table below. Company: Richter & Phillips Co. Address: 3236 W. Galbraith Rd.